3 weeks at college, 3 nights in a proper restaurant style kitchen and finally I've regained my mojo. 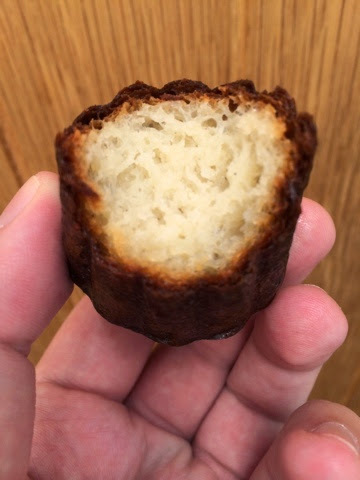 Several months ago now I promised a recipe for French Cannelés and its been sat in my draft box since they came out of the oven. I think its about time I let them out of the box, don't you? 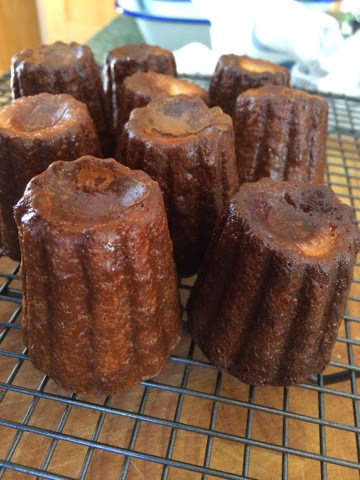 So "what are Cannelés?" I hear you ask! Well my friends, I shall tell you. They originate from Bordeaux in France and are one of the best known sweet treats of the region. The recipe resembles that of a crêpe, but the finished items are pure perfection. Typically they have a rich caramel coloured exterior with a beautifully fluffy interior. 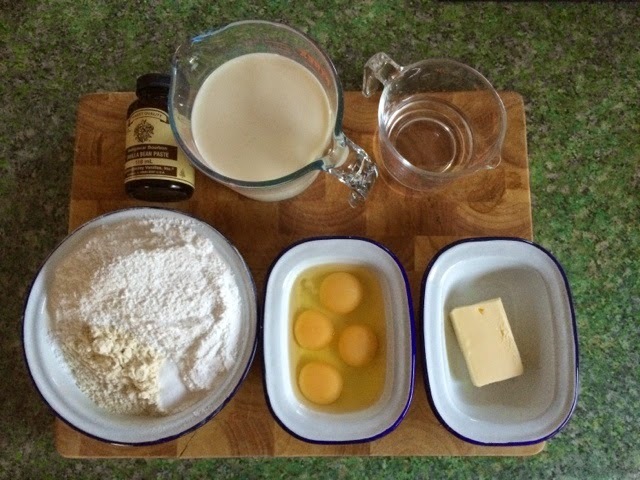 2 eggs, plus 2 egg yolks. vanilla (pod and beans or the paste if you too are a cheater...). Bring to the boil over a medium heat. 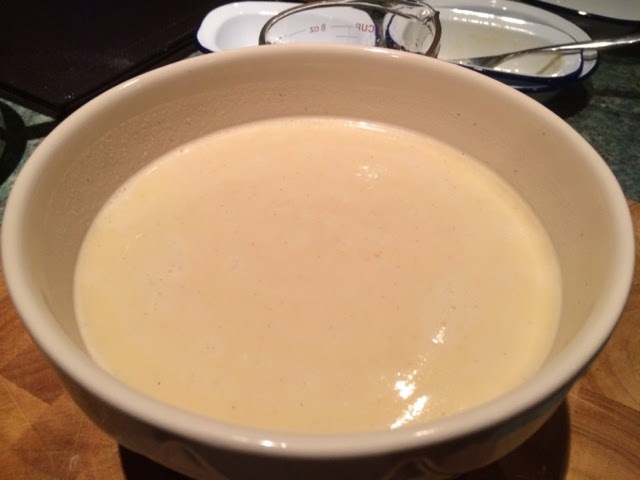 Once its boiling remove from the heat and allow to cool a tad. 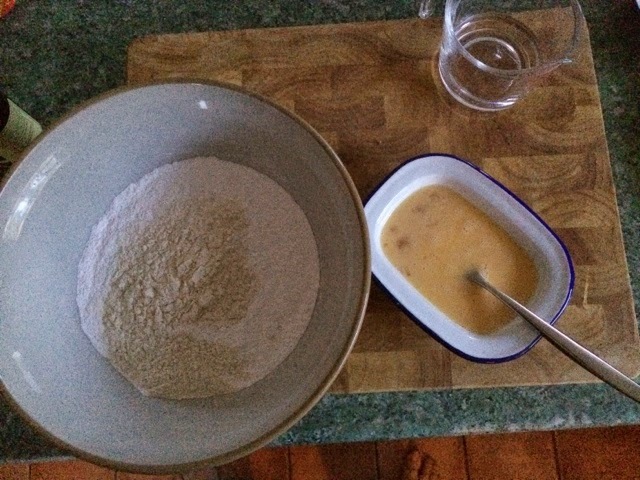 Next place the flour, icing sugar and salt into a large bowl and then lightly beat the eggs in a separate bowl. Doing this not only allows the flavours to get to know each other but it also allows the gluten to relax causing a fluffier interior. One key point though, give it a stir every now and then to allow the flavours to really get to know each other. 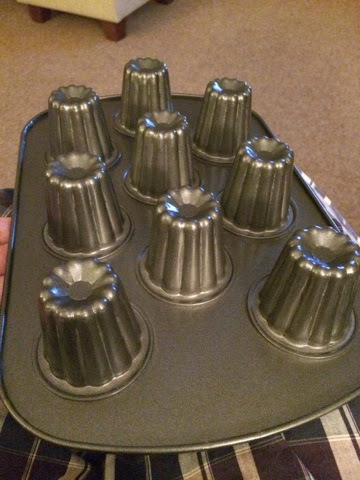 Now, there are several different pieces of bake ware you can use to bake these. 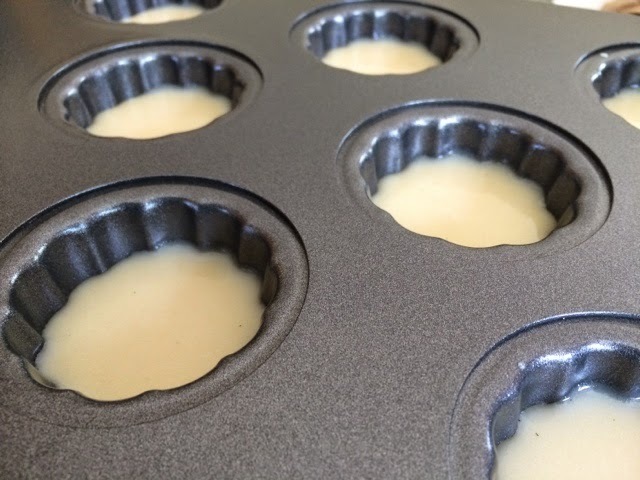 But which ever piece you choose to use, you need to get it preheated before you add the mixture. This helps to create that crisp exterior. 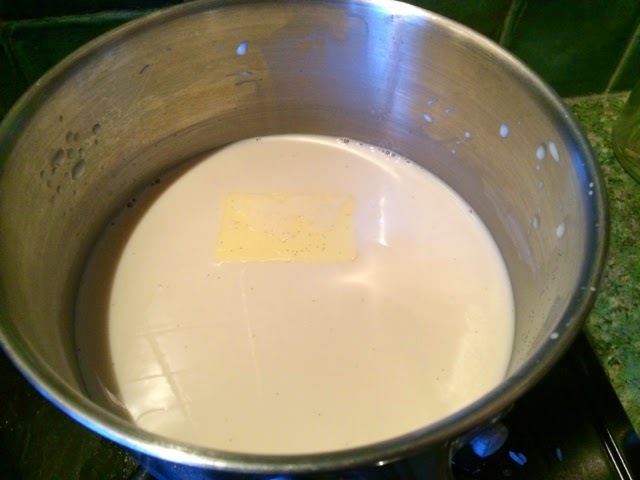 Preheat the oven to 240°C and when the pan/silicone has preheated (This should only take a few minutes) pour the mixture into each hole roughly three quarters of the way up. Place into the hot oven for 15 minutes and then reduce the temperature to 190°C and continue baking for another hour. When the hour is up, remove from the moulds and allow to cool on a wire rack. As they begin to cool the exterior will being to develop a crisp caramel coloured exterior, with a pale and fluffy interior. These sweet little treats really have the wow factor and are beautiful paired with a freshly brewed pot of coffee. So go on...treat yourself this weekend!